Micole is a true professional! There is no detail overlooked as she captures the vision perfectly. Class and excellence are two words that come to mind when I think of Micole! I look forward to recommending my clients to utilize her services in the near future. ...From the custom made table cards right down to the menu, I must say she really did her thing with the décor. Everything was perfect for the theme she was going for. A timeless love. Her vision was superb and I really enjoyed working with her on her special day. ...one of the most creative weddings ever... you felt as if you were in a fairytale. Everything from the invite to the menus were creative...! 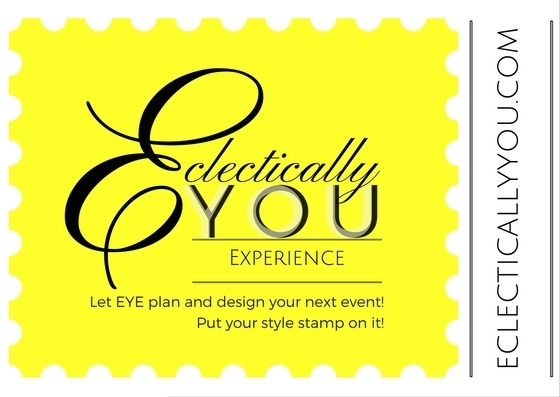 There was not a moment of confusion in the experience...I would definitely recommend Micole's event planning services for someone who wants a reflection of their style in a creative way! To sum up my opinion on Micole's wedding planning, I'll leave these adjectives; professional, considerate, organized, cool, calm, and collected under pressure, knowledgeable, friendly, and respectful. I would most definitely recommend her services to anyone looking for an event coordinator. Give her your vision and let her make it come true for you. BYOBook Club for Busybodies. It's a unique club, and all meetings are always well put together, interesting, and fun. Books are discussed over breakfast at different food venues. Her planning skills go beyond weddings. Keep her in mind for any of your event needs. The theme of the wedding was very fitting to the couple...I walked in and immediately noticed the great detail. The wedding programs, the menus & seating arrangement chart was all with the theme of the ceremony. I am intrigued with antique, vintage things so the entire wedding ceremony had me totally amazed from the time of arrival until I finally left for the evening. an actual movie/play ticket. I wasn't sure what to expect but I knew it would be amazing. Upon arrival the venue, a tucked away jewel was breath taking...I walked in and immediately noticed the great detail...The wedding programs, the menus & seating arrangement chart was all with the theme of the ceremony. I am intrigued with antique, vintage things so the entire wedding ceremony had me totally amazed from the time of arrival until I finally left for the evening. Over the years...each event has consistently exceeded my expectations, and the quality and care in making each event memorable and unique is evident in every detail...Each book premiere was tailored...immersed into the uniqueness of the stories in the book....each event was interactive and as a guest I was immediately made a part of the event. For the wedding, there was the glitz and glam of old Hollywood and the Great Gatsby era....every detail...had a classic flair. But not only that, each personal, memorable detail marking the moments was crafted with care...every moment was beautifully captured with just the right song, just the right photo and just the right words. Last night was a huge success! Thank you Micole for the beautiful set up and the hard work you and your team did this past week...Writer's Showcase was a success. Students got great feedback from the guests and we had 40 - 50 people attend. Micole did a wonderful job organizing it and making it easy to view the writing. On behalf of the entire Manvel High School PLTW Engineering Program (Students, Parents, and Staff) We would like to THANK YOU for your exceptional event coordination services and we really enjoyed working with you. Thanks for being a Blessing and Pouring your services of expertise in making our 1st Annual Engineering Gala Awards such a GREAT SUCCESS & AMAZING!!! ...provided with the perfect setting at a Lennar Model Home, the environment and setting gave comfort to anyone who set foot inside the home. Lastly, Micole made it clear that each Vision Board wouldn't end that night as she challenged every attendee to have a accountability partner to ensure follow through on each goal, dream , healing and purpose. Micole is awesome! Her professionalism, creativity, and timeliness are what I loved most about her and the [EYE.] She designed and ordered my..banner in less than a month...helped me stay on top of the commitment I made...to actually get more advertising and promotional items for my brand. She is my recommendation and go-to for all things eclectic! To be in the company of such BEAUTIFUL and talented women was priceless. I not only left with a clearer vision, but the motivation to accomplish each goal. I had a wonderful time at the Bring your own book club! Such a wonderful concept and way to connect with others on books that we have read! I felt truly inspired! I definitely recommend it! This was more than a vision board party! It was an intimate safe space for sharing insight and networking. I take pleasure in learning from others; the Vision Board Night event taught me how to graciously welcome warmth from new friends. The event was inspirational, empowering and motivating…I can’t wait for the next. This was a great time to take a moment and focus on the future and myself. Enjoyed the peace, fellowship and encouragement. 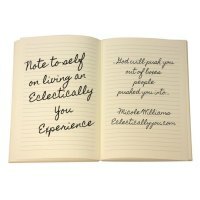 I enjoyed the experiences of connecting with each other and tapping into our and my own personal goals.